Hello, Darlings! 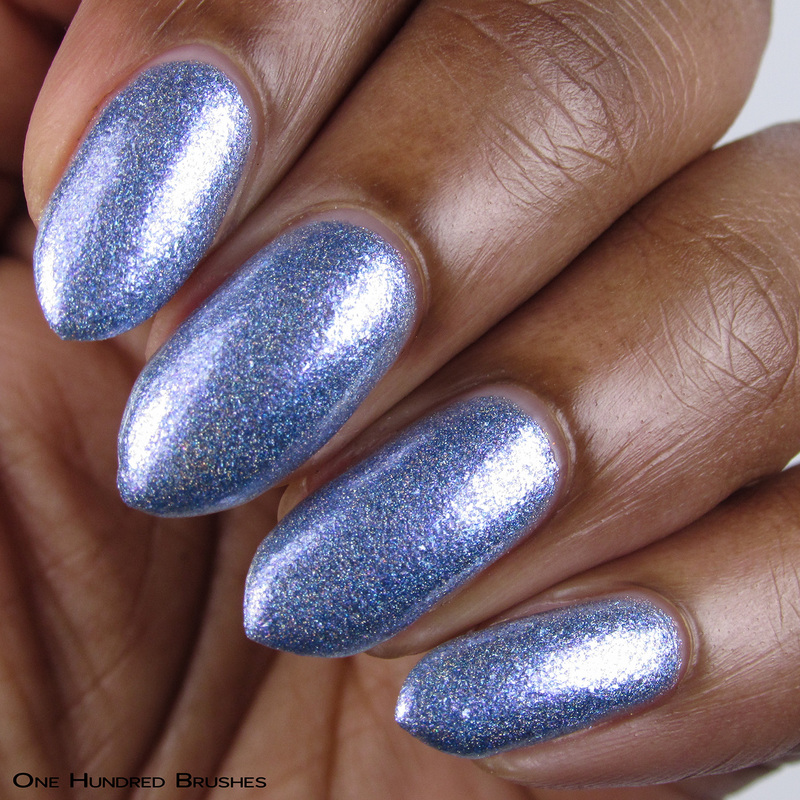 I’m coming to you today with May’s Holo Hookup box under the theme, Dreams & Nightmares! 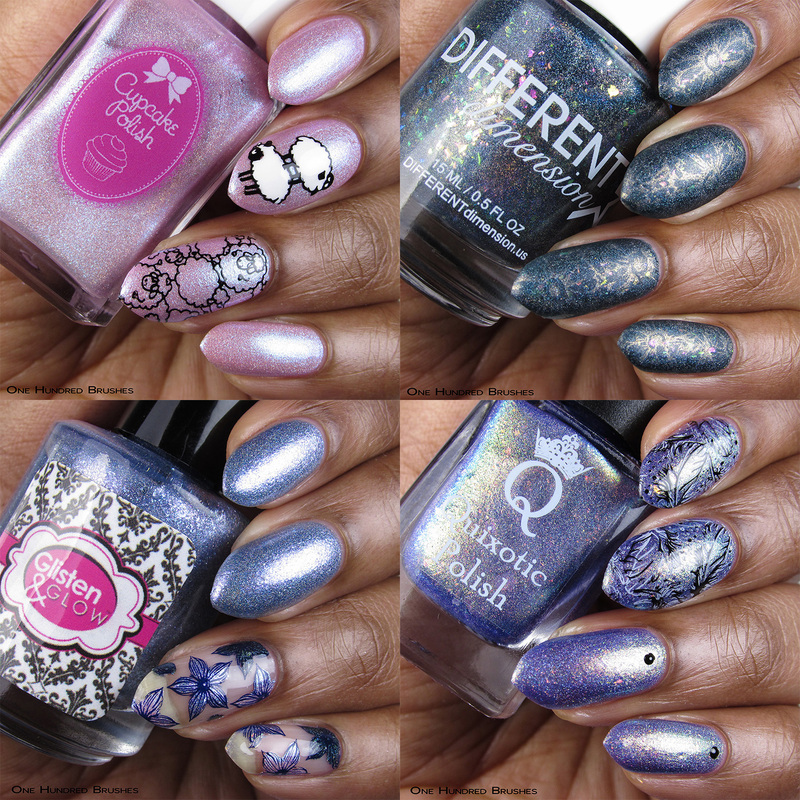 As usual, we have four beauties prepared for us with this month’s guest maker, Mary of Quixotic Polish! 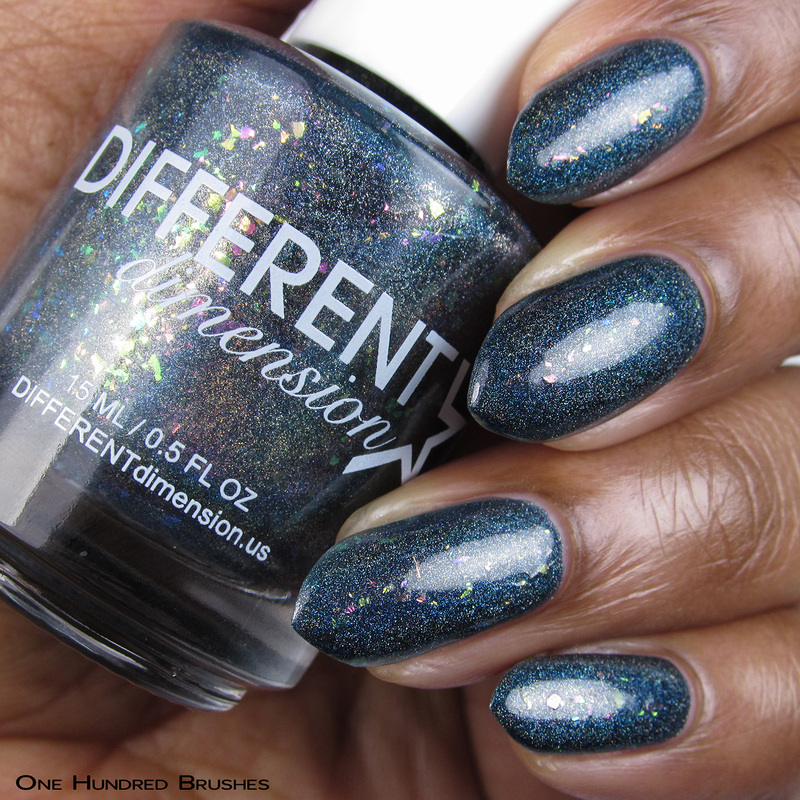 If by some punishment from the universe, you haven’t been introduced to Mary’s polishes before, here’s your chance! 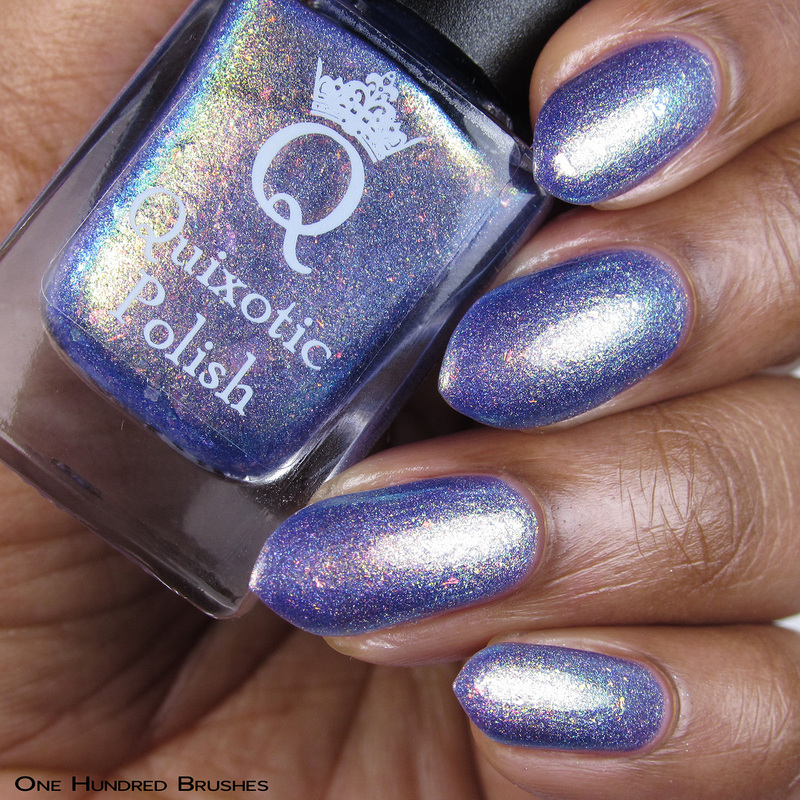 The May Holo Hookup, Dreams & Nightmares awaits! 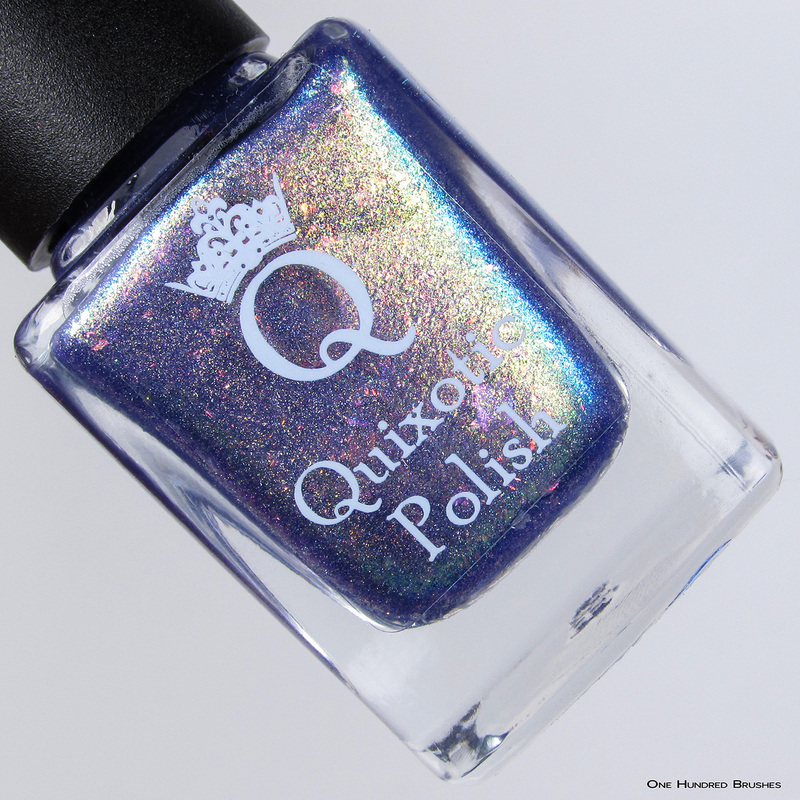 The Holo Hookup is a monthly box that features three permanent makers. 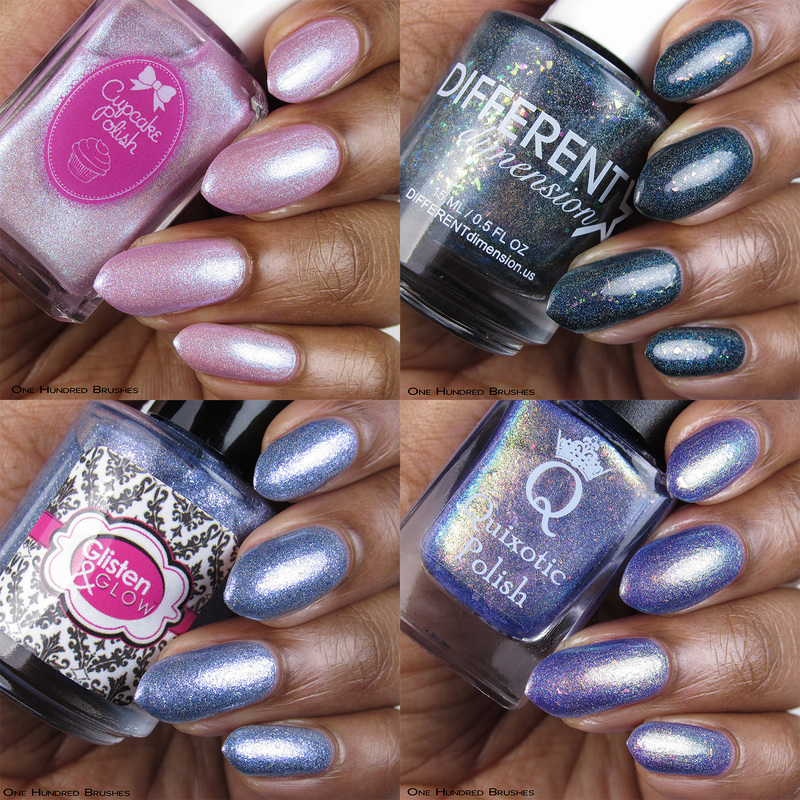 Sara of Cupcake Polish, Missi of Different Dimensions and Jill of Glisten & Glow invite another indie maker to create a polish to go along with a chosen theme. 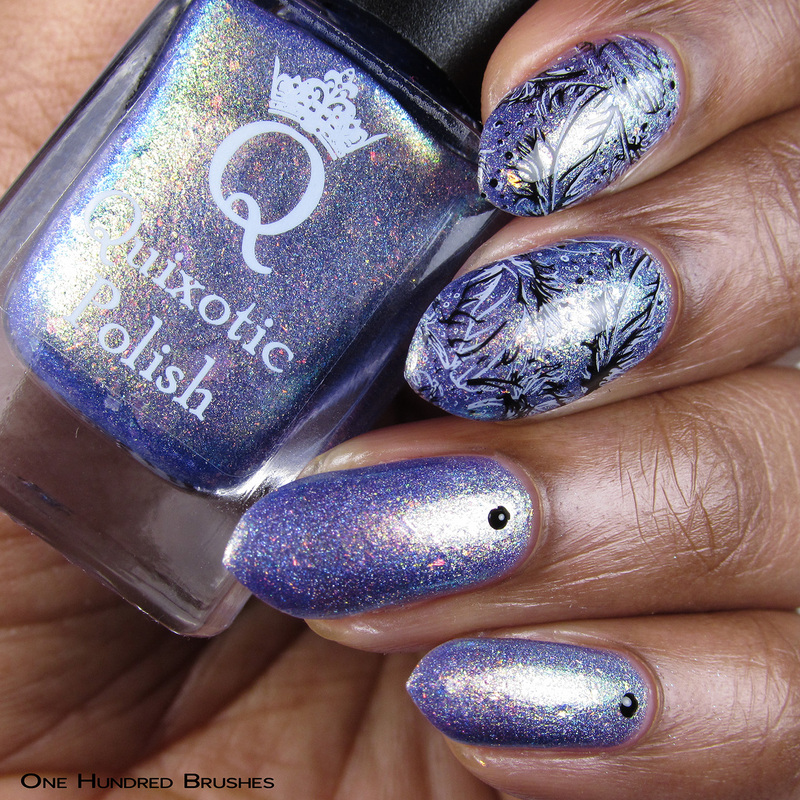 This month’s guest maker is Mary of Quixotic Polish. Let’s take a look! Sweetest Lullaby starts things off! 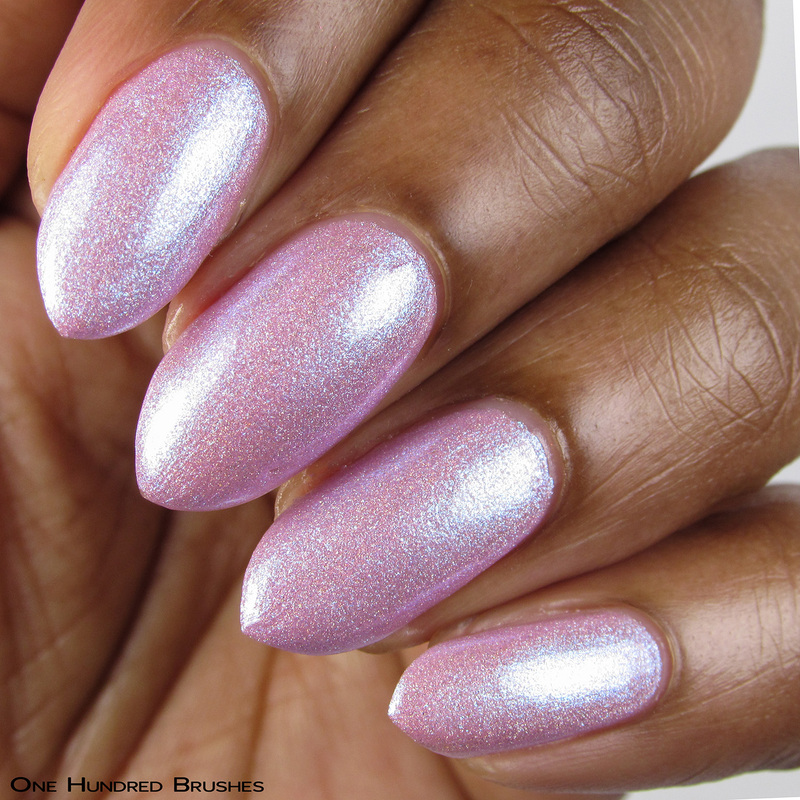 Sara’s creation this month is a pale pink linear holographic with a vibrant blue shimmer. That shimmer is really the star here. The polish has a nice, easy to work with consistency and build. I’m wearing two coats with a glossy topcoat. Let’s count some sheep, shall we! Perfect Nightmare is a fine reflection of its name. 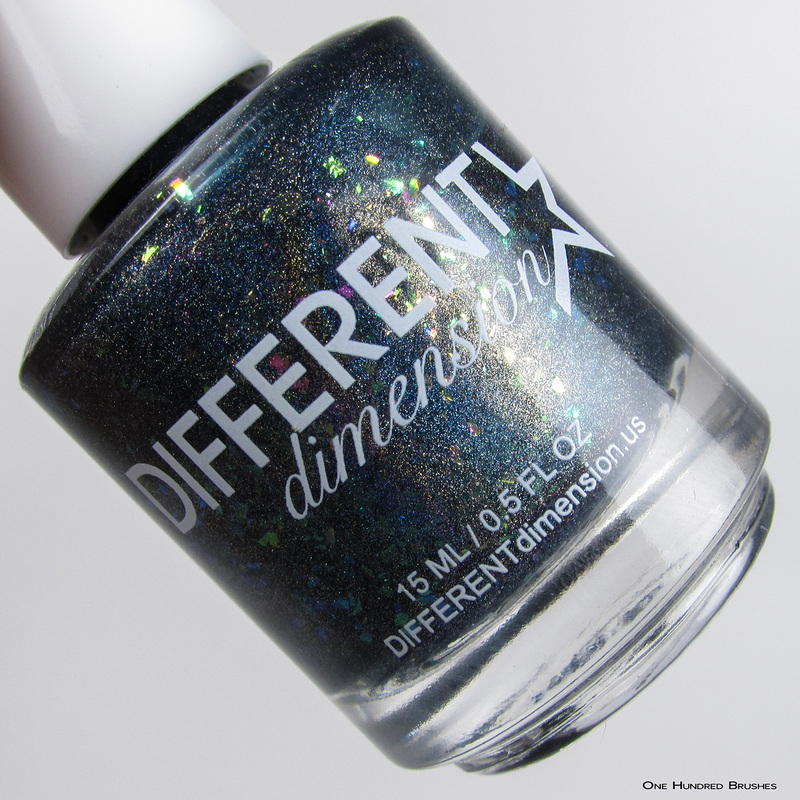 It’s a dark navy blue jelly linear holographic infused with iridescent flakes that add delightful pops of color. The flakes in here add a really fun element and as an added plus, they’re well behaved. I’m wearing two coats with a glossy topcoat. 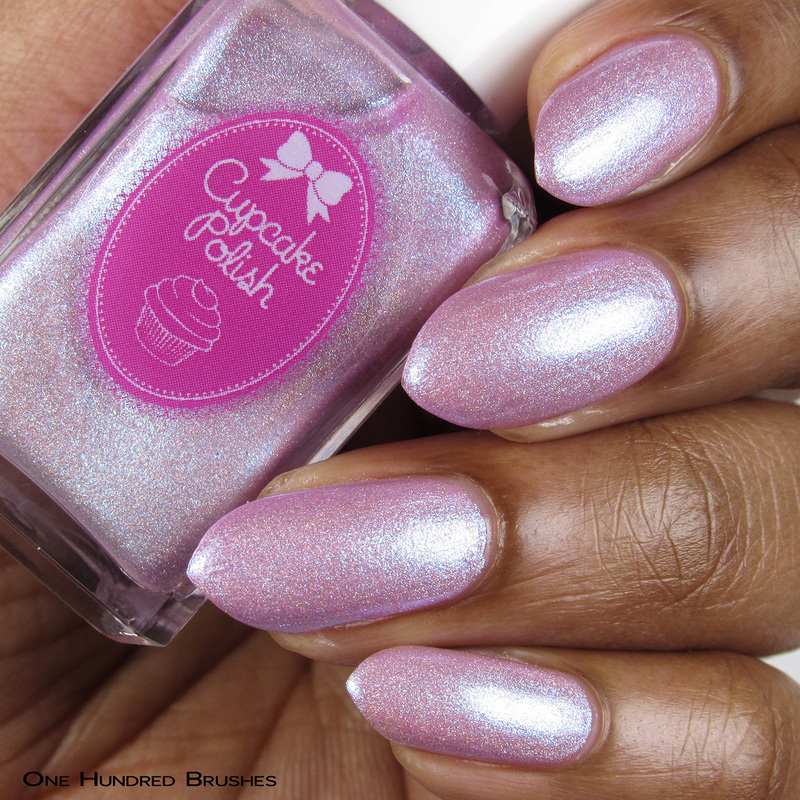 Matte the flakies…? Yes please! 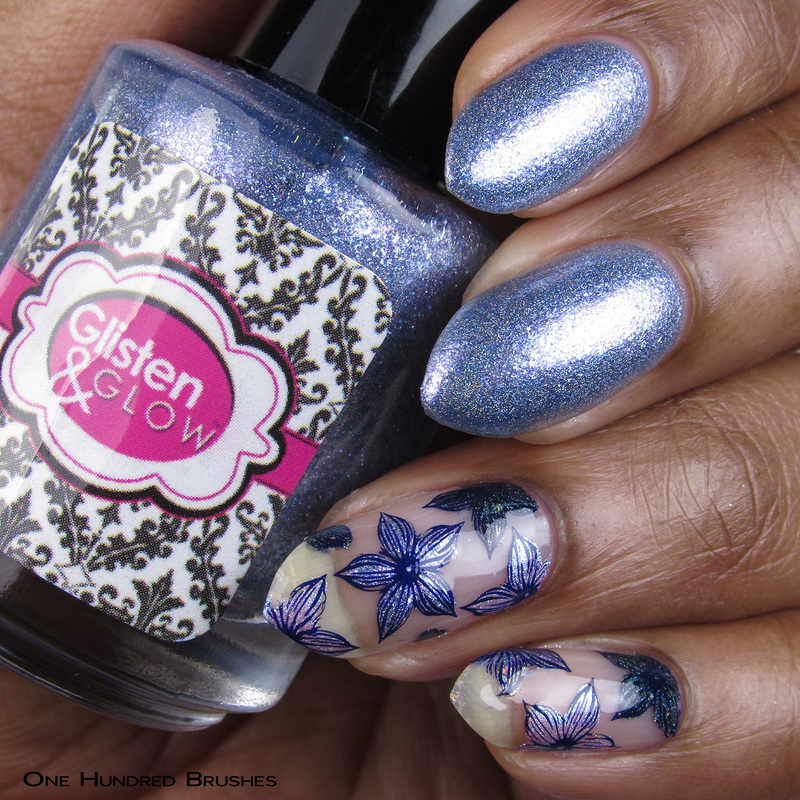 Jill’s Moonlight Melodies is a periwinkle holographic base with a mix of purple, blue and white micro flakes. The holographic flame here is way more apparent in person; it’s so good! As always, the application is easy peasy! I’m wearing two coats with a glossy topcoat. I used all four shades in the box to fill in those pretty flowers! Mary’s contribution is a bright purple linear with iridescent flakes that shift red to green to gold and a complementing shimmer. 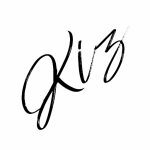 The shifts here are stunning and it’s so easy to wear! I’m wearing two coats with a glossy topcoat. I went with double stamped feathers over this beauty! What a fun box. Only sweet dreams found here! 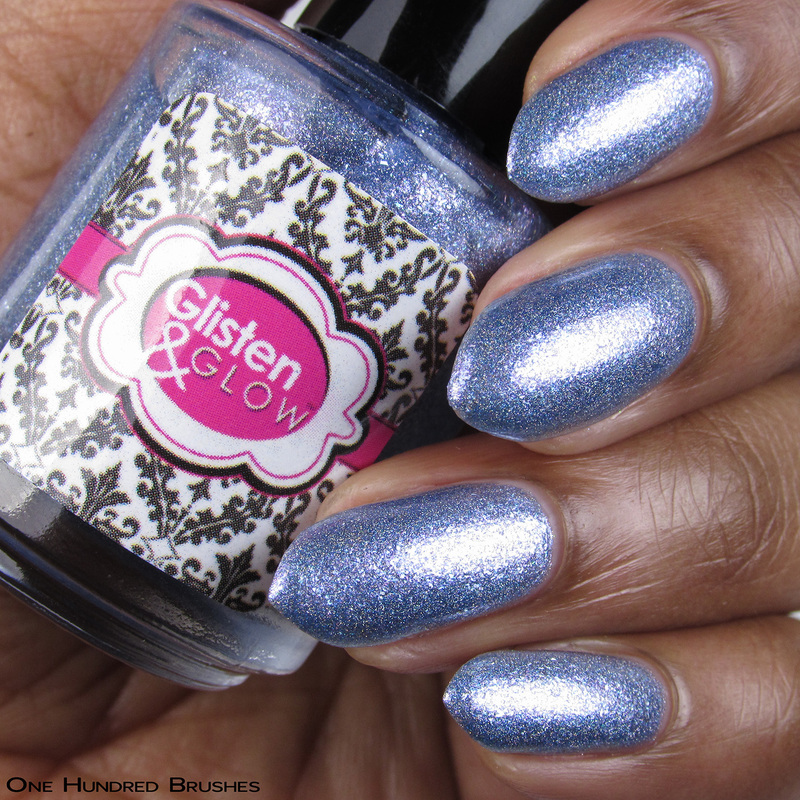 Preorder from April 21 at 9 pm EDT to April 28 at 9 pm EDT from Holo Hookup!